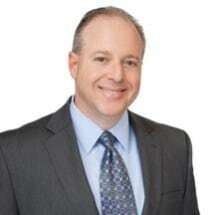 Craig Courville joined Wright & Greenhill, P.C., in 1998 and became a shareholder in January of 2007. Mr. Courville's practice involves, primarily, the representation of individuals, businesses, corporations, employers, and insurance companies in state and federal courts across Texas in civil and commercial litigation including personal injury, wrongful death, premises liability, products liability, insurance defense, commercial disputes, breach of contract, and employment disputes. He also works with and represents owners, general contractors, and sub contractors across Texas in disputes involving commercial and residential construction projects, including construction defect litigation. Mr. Courville was first selected as a Thompson Reuters Super Lawyer in 2016, then selected again in 2017 & 2018 as one of the top rated Construction Litigation attorneys in Austin, TX. Mr. Courville was also included in the 2006 Texas Super Lawyer® magazine's Rising Star Edition. Mr. Courville also holds an AV Preeminent Peer Review rating through Martindale-Hubbell, and received a “Superb” rating from his peers on Avvo. Represents general contractors and subcontractors in claims and lawsuits involving construction defects, design defects, contract claims, delay damages, and insurance coverage. Successfully defends publicly traded and privately held corporations and small businesses against wrongful death, burn, worksite accident, electrocution, premises liability, DTPA and products defect lawsuits. Successfully defends individuals and commercial carriers in wrongful death, trucking, personal injury, and DTPA lawsuits. Represents clients in trademark, trade dress, copyright, and Lanham Act disputes and lawsuits. Tried lawsuits in state and federal courts and obtained favorable jury verdicts for individual and commercial clients. Prepared appellate briefs and argued before the appellate court to successfully defend favorable verdicts and judgments obtained at the trial court. Coordinates and conducts time sensitive investigations of construction, automobile, trucking, and workplace accidents. Assists clients resolve disputes and lawsuits through mediation and arbitration. Assists insurance carriers determine coverage obligations in matters involving construction defects, breach of contract, additional insured coverage, alcohol liability coverage, theft, motorized vehicle coverage under homeowner’s insurance policies, permissive user exceptions, limits of liability, covered vehicles, and general negligence.